This Israeli film is segmented into six fully connected parts, each of which showcases a sexual act as performed by its protagonist, the teenage Gili. She first arrives to meet smooth talker Omri, who tells her that his friend Tomer is interested in her, at which point she goes off with him to engage in her first, and by her the most pleasant, interaction. She becomes the film’s central character as she waits anxiously by the phone for the manipulative Omri to text her, which occurs only when he’s in the mood for a hook-up and when he’s not hanging around with his other girlfriend. Gili is a mesmerizing character to watch, and it’s difficult not to be devastated by the sheer magnitude of the bad decisions she makes. 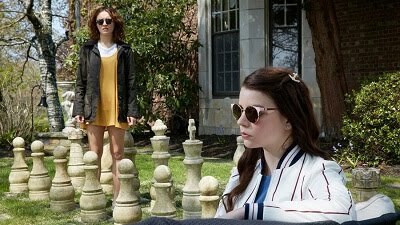 There’s little to redeem her as the film goes on, and it offers an in-depth look at the immature, off-putting nature of oversexed teenagers. Its brutal depiction of this awful reality is captivating, and its performances are natural and simple. As a commentary on youth and promiscuity, it’s extremely interesting, and the fact that it comes from Israel is almost incidental since there’s little to identify the culture other than a strong reliance on technology as the primary form of person-to-person communication. It might as well take place anywhere, and it’s a universal high school horror story. See it or skip it? It’s not for more conservative audiences, but there’s definitely something worth taking away here.